Will Smith And The Suicide Squad! 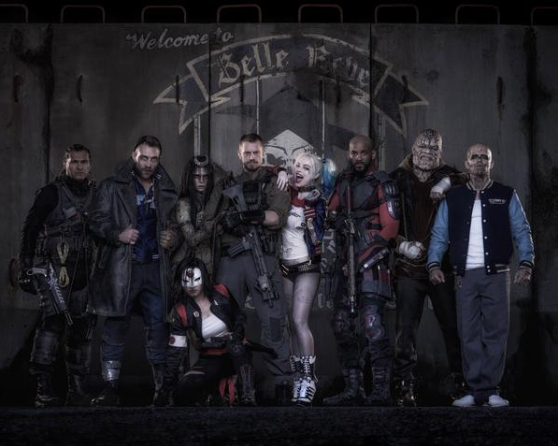 David Ayer, director of the upcoming Suicide Squad, has released a photos of the entire cast via Twitter yesterday. And it looks as if it’s following Man of Steel’s lead, by which I mean it’s going to take itself way too seriously. As a director, Ayer is talented (I haven’t seen a lot of his work, though I enjoyed End Of Watch and–to a lesser degree, Sabotage) but I am not at all crazy about this picture. Everything looks dirty and somewhat grimy and it feels as if DC Entertainment is saying that even the idea of bright colors and just a hint of joy is anathema. So it looks like I will continue to wait for the day till DC Entertainment realizes that you can take something seriously, without it being so deadly serious. 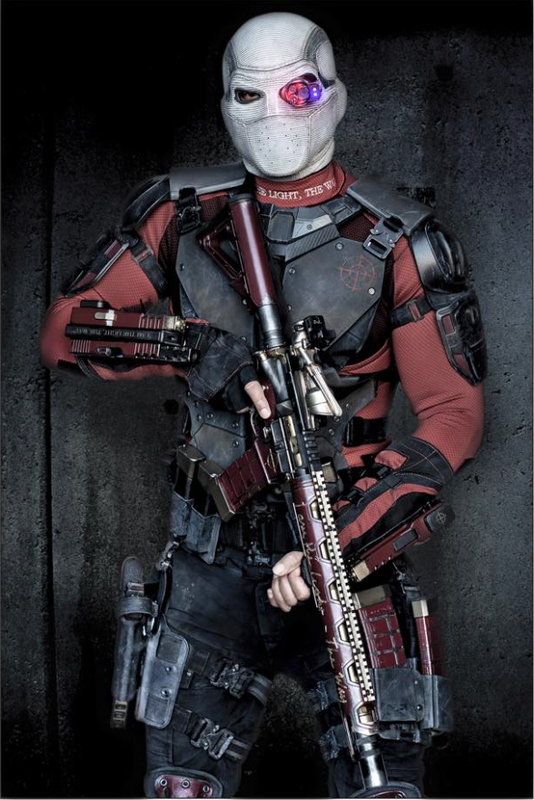 A picture was released of Will Smith as Deadshot is a bit more successful, though on top of the release of Jared Leto’s Joker last week I am feeling a bit underwhelmed about this latest entry into the DC Cinematic Universe. And it’s not that the movie, in and of itself, appears to be a bit dark; it’s that everything they touch seems to turn murky and by extension there’s a pall of sameness that washes over properties that shouldn’t look anything alike. And I understand that I’m not being paid the big bucks–or even small ones!–to comment on these issues, but it seems the brains trust over at Warner Bros. can’t see the forest for the trees. Posted in actors, Comics, DC Entertainment, directors, My Two Cents, superheroes, upcoming.Tagged David Ayer, End Of Watch, Jared Leto, Man of Steel, Sabotage, Will Smith.